This is a 2018 reboot of the blogging racing diary of my personal “Comeback” to bike racing, however now I’m “retired” from racing. This blog will be less about the bike and doubtful I will talk about racing at all. I do hope to share some of the views I capture through photography. As a kid in the late 1980s and early 1990s, I looked for adventure and a way to get out of the house. I ventured off on the bike and eventually gave a try at road racing. I was mediocre if not terrible, but everything I did, I did on my own and that was most important. This became the foundation of my adult life. Being outdoors, exploring, going fast, taking risks and pushing myself to physical limits was a once forgotten passion. I lost my way during college and when I started a regular career. As I have gotten older I have realized that my career fulfills the need for financial stability and to live the life I need to do that on my own. So on my birthday in February 2008, I made a commitment to myself. I committed to putting myself and my personal life well above my work life. With this commitment, I got back on my bike and got into shape. 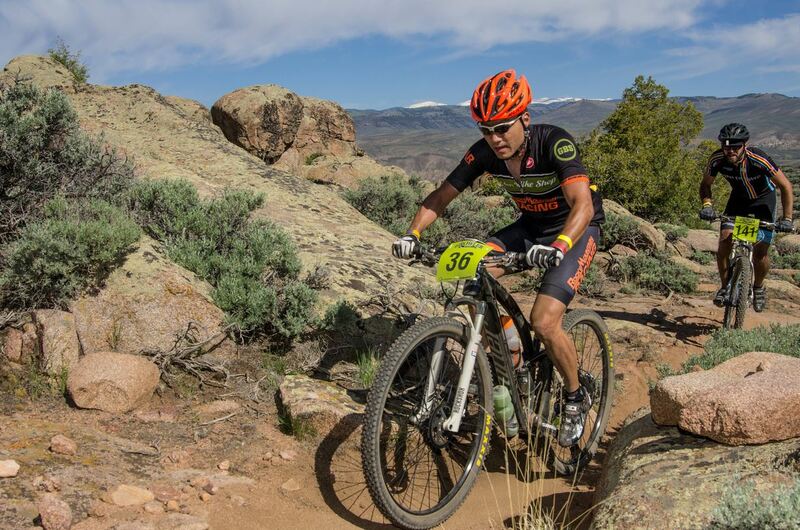 The 2010 mountain bike season was my first real try at a full season of mountain bike racing after participating and finishing the 2009 Leadville Trail 100 MTB Race. After a huge learning curve and reasonable success in 2010, I grew my racing experience with several different local shop racing teams and as a privateer. Racing was fun and a lot of work. Between the day job, home things, and training, the bike racing became a second job that was hard work to be fit and skilled enough to finish in the top 1/3 of most races. Early 2016, after switching from the company I had been with for 15 years, it was time to pull the plug on races and relearn to enjoy the bike just for fun and as the getaway vehicle, I used to know. The following is the public journal of my experiences as a regular guy with no special athletic abilities having fun and living in my own ways while racing riding mountain bikes and taking photos on the high mountain trails of the Rocky Mountains. Hero was one of our pups we rescued. He had spent a great deal of time at a shelter after being hit by a car while living on the streets for some time. He was a very sad puppy when we first met him, with a huge scar from his injuries across half his body, he was still very dirty, and he seemed very depressed. All that changed when we brought him home and put a fresh new collar on him, he knew he had been saved. Hero was with us for about seven years and finally succumbed to his injuries. We loved him as much as he loved us. I often dedicate things to him. He will forever be my velveteen pup.